Derrick Rose hasn't played in an NBA game for over 3 weeks now. He has missed games because of an injured groin muscle. In his absence, his hometown team, the Chicago Bulls has done farely well and are taking the precautionary steps to bringing the reigning MVP back so he can be 100% back and not to re-injured the groin. On the Bulsl part, they are doing things accordingly to a great business model. Taking care of your investments. Well adidas on the other hands, they are not getting any return on their investments with D Rose sitting on the sideline and not on the court wearing the adidas AdiZero Rose 2.5 in designated colors. So far, Rose missed the St Patrick day game, thus the green "St Patty" day game shoe remains sitting in store shelves, the black/blue colorways will probably never be worn on an NBA court since they do not match the Bulls team colors, we've seen D.Rose wore the "Brenda" all-red pairs before he was hurt. Now, a new colorway comes out just for the NBA Playoffs. 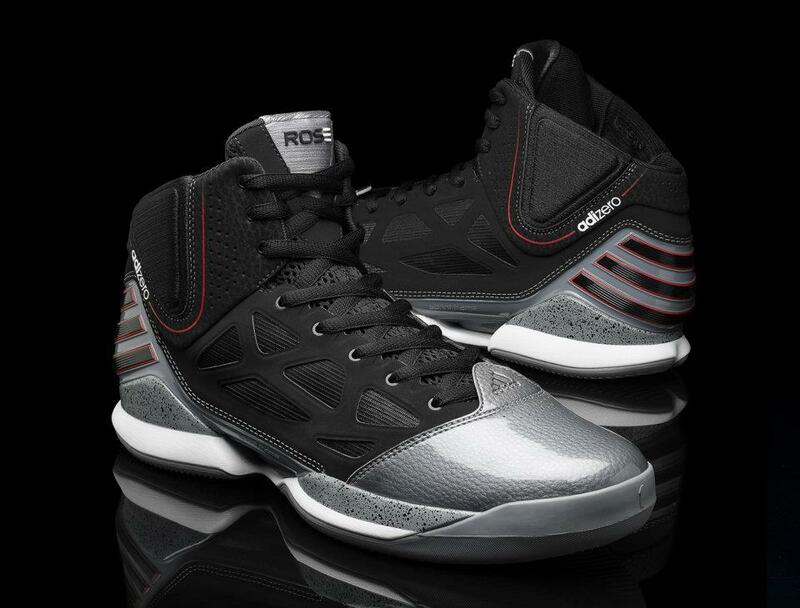 Paying homage to a Chicago Bulls tradition of wearing black shoes & black socks, the "Playoffs" edition of the adidas AdiZero Rose 2.5 featured a all black nubuck upper, with grey toe box, grey midsole and grey bottom sole. The city of Chicago have seen color blocking like these before, mostly on the shoes of a guy they called the G.O.A.T!